Dr. Thomas P. Rosandich, Founding President of the United States Sports Academy and a long-time leader in sport and sport education around the globe, has been named to Mobile (Ala.) Sports Hall of Fame (MSHOF). DAPHNE, Ala. – Dr. Thomas P. Rosandich, Founding President of the United States Sports Academy and a long-time leader in sport and sport education around the globe, has been named to the Mobile (Ala.) Sports Hall of Fame (MSHOF). Rosandich will be honored during the 2017 Induction Banquet at 7 p.m. on Thursday, 6 April 2017, at Mobile’s Battle House Hotel. Founded in 1988, the Mobile Sports Hall of Fame honors the city of Mobile’s many heroes and influential figures in the world of sports. It has honored more than 100 individuals with enshrinement. The Mobile area boasts a sports legacy that includes five National Baseball Hall of Fame inductees, National Football League and NCAA championship athletes, All-Americans, Olympians, record setters and legendary coaches and athletic leaders. In addition to Rosandich, this year’s inductees are former University of Alabama and NBA basketball player Jason Caffey; civic leader and athletic supporter John L. Finley; former Auburn University and NFL football player Lawyer Tillman; former University of South Alabama and Major League Baseball player Dave Stapleton; legendary Bayside Academy volleyball coach Ann Schilling, winner of 21 state volleyball championships; and former University of Southern Mississippi and NFL football player Jerrel Wilson. A native of Sheboygan Falls, Wisc., Rosandich founded the Academy in 1972 in response to a poor performance by the United States Olympic team in the 1972 Munich Games. Athletes were lacking quality coaching and training, which Rosandich believed could best be remedied through education. Over the past 45 years, the Academy has conferred thousands of sport-specific degrees to its students and has enriched the lives of countless more through its education and outreach programs that have been delivered in some 65 countries around the world.  The Academy now offers bachelor’s, master’s and doctoral degree programs as well as a wide array of non-degree sport education programs. The campus, located in Daphne, Ala., which has won architectural awards for its beauty, also houses the American Sport Art Museum and Archives (ASAMA). Founded in 1984 by Rosandich, ASAMA embodies the enduring connection between sports and art. Through tireless effort, Rosandich built the collection into a world-recognized museum housing more than 1,700 pieces in all mediums. It is thought to be the largest museum of the sport genre in the world. Rosandich brought to the Academy a storied career in sport. He starred in football and track and field at the University of Wisconsin-La Crosse, where he graduated with a degree in physical education and history in 1954. His alma mater has recognized his contributions by his induction into the UW-La Crosse Athletic Wall of Fame in 1983, naming him the Maurice O. Graff Distinguished Alumnus in 1989, and honoring him annually by presenting the Rosandich Thesis Award, which recognizes the student with the best master’s degree thesis of the year. Rosandich went on to earn a master’s degree in sport administration from the National School of Sport at the University of Indonesia and a Ph.D. in research at Union Graduate School in Ohio. Following graduation from UW-La Crosse, Rosandich began a 20-year career of service in the United States Marine Corps Reserve, where he coached numerous world record and Olympic track and field athletes. He was the founder and director of the inaugural Marine Corps Schools Relays in Quantico, Va., and was named the All-Marine Track and Field Coach, All-Marine Cross Country Coach and All-Service Coach in 1956. Between 1956 and 1976, Rosandich coached in some 50 countries preparing national teams for international games as part of the U.S. State Department’s “U.S. Ambassadors of Sport” program. In this role, Rosandich was charged with using sport to elevate America’s relationship with nations around the world. Before founding the Academy, he also served as director of athletics at the University of Wisconsin-Parkside and the University of Wisconsin-Milwaukee. His substantial contributions to track and field earned him induction in the Helms Hall of Fame. He has also been active in professional organizations such as the National Association of Collegiate Directors of Athletics (NACDA). Though fully engaged in building the Academy into America’s premier school of sports, Rosandich still found the time to contribute to the profession in many ways, including serving as a supporter, leader and advocate for the global advancement of sport, earning numerous national and international honors. 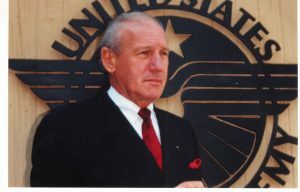 For his work in the Olympic Movement, Rosandich was awarded the highest International Olympic Committee honor, The Olympic Order, in 1997. Rosandich also created the United States Sports Academy’s Awards of Sport program, which each year serves as “A Tribute to the Artist and the Athlete.” The Academy presents the awards to pay tribute to those who have made significant contributions to sport, in categories as diverse as the artist and the athlete in several different arenas of sport. Rosandich served as the Academy’s president and chief executive officer for 43 years until 2015, when his son, Dr. T.J. Rosandich, was named president and CEO. He recently retired from the Academy with the title “President Emeritus.” While Rosandich has stepped down from his role as the Founding President of the Academy, his enduring legacy is that the Academy continues to thrive and serve the profession as an independent, non-profit, accredited, special mission Sports University created to serve the nation and world with programs in instruction, research, and service. Located in Daphne, Ala., the Academy continues its vital mission of preparing men and women for careers in the profession of sports. For more information about the Academy, call (251) 626-3303 or visit www.ussa.edu. For more information about the Mobile Sports Hall of Fame, go to www.mobilesportshalloffame.com. For video coverage of the recent MSHOF announcement, go to http://wkrg.com/2017/03/01/2017-sports-hall-of-fame-class-announced/ . The official video is now available of Rosandich being inducted as part of the 2017 class of the International Sports Hall of Fame (ISHOF) at the Arnold Schwarzenegger Sports Festival in Columbus, Ohio, on 4 March 2017. To view the video, which includes the Founding President’s comments at the occasion, go to https://youtu.be/ajyD-yIEzkQ . To view a tribute video honoring Rosandich related to his induction in the ISHOF, go to www.youtube.com/watch?v=VkqnH0L4awg&feature=youtu.be.